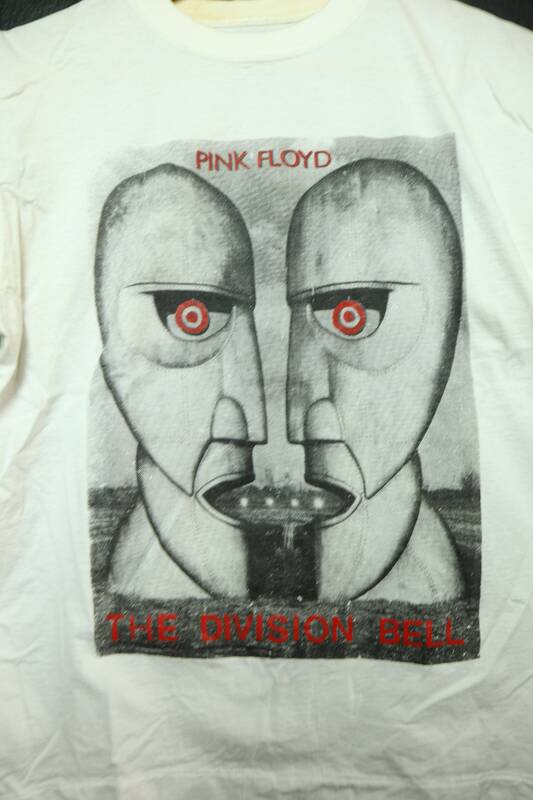 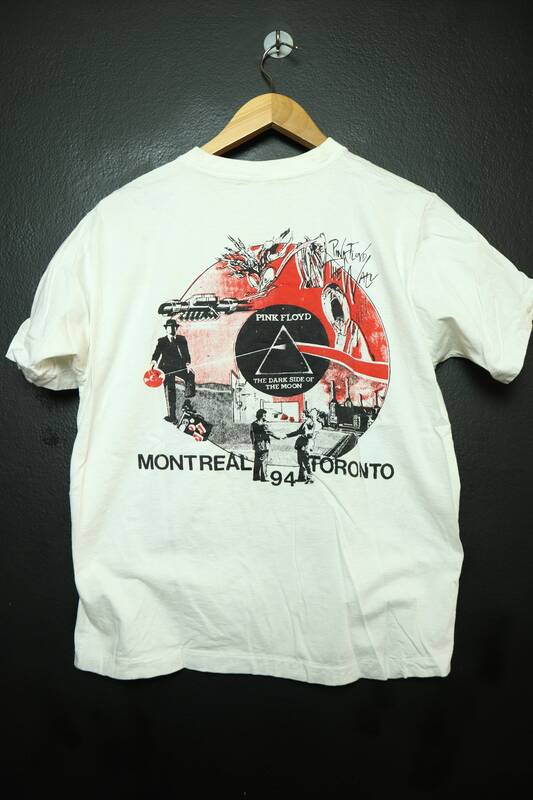 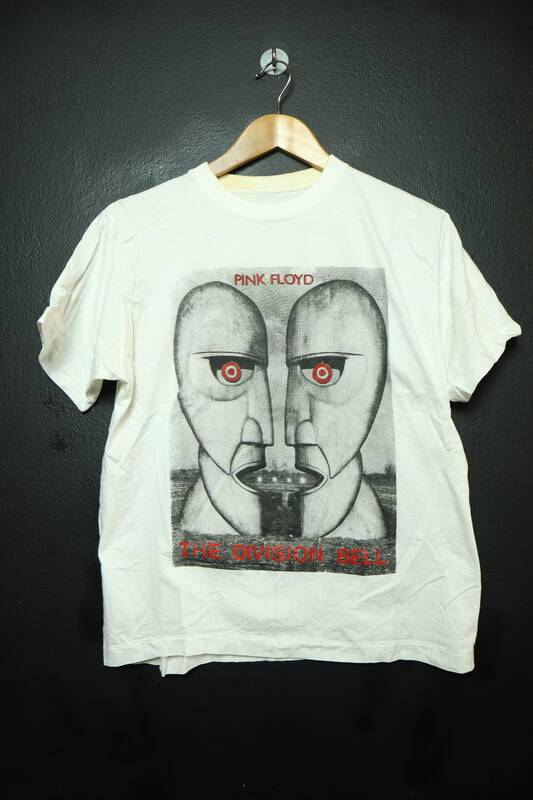 Pink Floyd The Dark Side of The Moon 1994 Vintage Tshirt, no size tag, please see measurements. 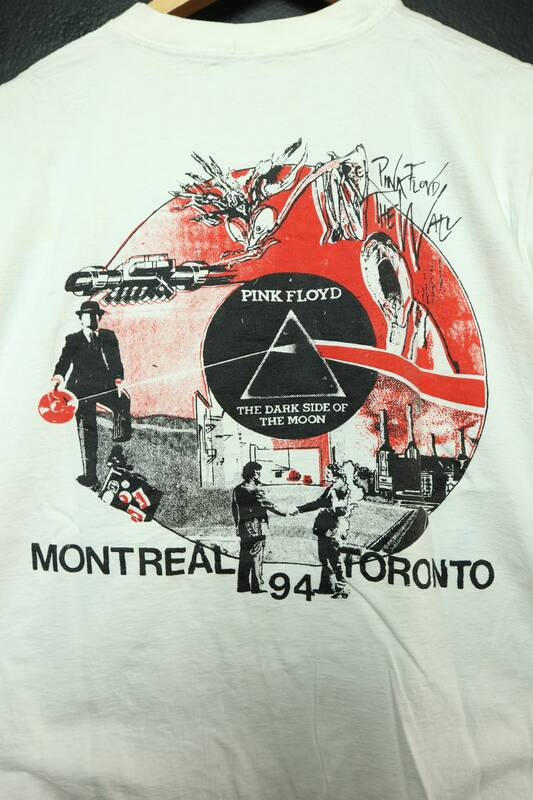 Parking lot bootleg from 1994. 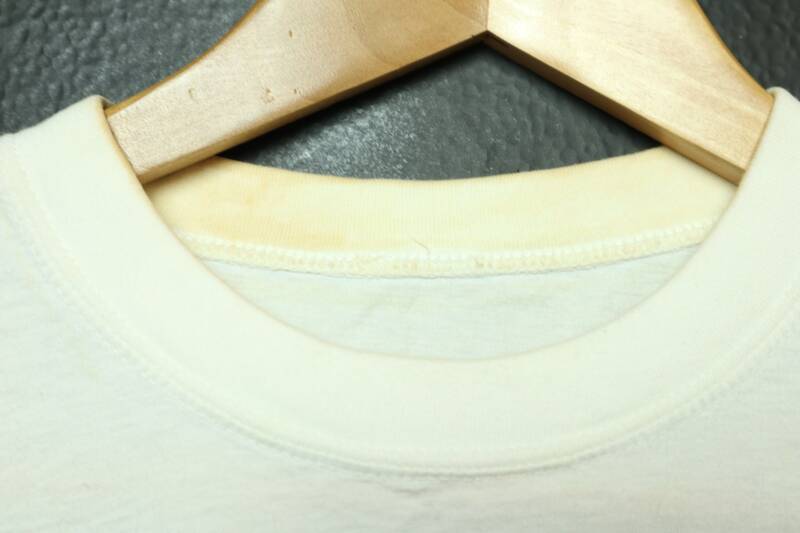 This shirt is in vintage condition with yellowing throughout and at the collar as pictured.